Bluetooth is no longer a niche technology that’s only for geeks. These days, you’ll find it in everything from your phone to your car. As such, enabling Bluetooth in Windows is more useful than ever. The operating system offers some cool native features that rely on the technology. Moreover, pairing devices with your computer can streamline your productivity and help save time. But how do you set up Bluetooth on Windows 10? The process has changed drastically from the Windows 7 days How to Set Up Bluetooth on Windows 7: Make Your PC Discoverable and Pair Devices How to Set Up Bluetooth on Windows 7: Make Your PC Discoverable and Pair Devices Need to use Bluetooth with Windows 7? Here's how to set up Bluetooth, make devices discoverable, and pair them to your PC. Read More . Here’s all you need to know about enabling Bluetooth on Windows 10. Before we get into the details of pairing devices with your Windows machine, you need to know how to turn on Bluetooth on Windows. Action Center: Expand the Action Center menu by clicking on the speech bubble icon on the far right-hand side of the taskbar, then click on the Bluetooth button. If it turns blue, Bluetooth is active. Settings Menu: Go to Start > Settings > Devices > Bluetooth and other devices. At the top of the right-hand panel, slide the toggle under Bluetooth into the On position. Whichever method you use, you will see a Bluetooth icon in the Taskbar once it is successfully engaged. Given the number of devices that use Bluetooth, it’s impossible to cover them all. 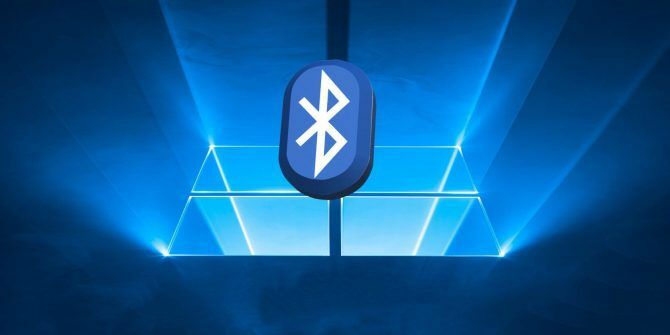 However, if you want to pair a gadget with your Windows computer, you will need to make sure Bluetooth is active on both devices How to Connect Your Mobile to a PC Using Bluetooth How to Connect Your Mobile to a PC Using Bluetooth Need to connect your mobile to a computer using Bluetooth? Here's how to set up a Bluetooth connection and transfer files. Read More . Some devices, like Bluetooth mice, have Bluetooth permanently turned on. On mobile devices, you will typically have to activate it. If you have an Android device, you will normally be able to turn it on by using a shortcut in the notification bar. If you don’t see a shortcut, you can navigate to Settings > Wireless and Networks > Bluetooth and slide the appropriate toggle. Note: Some Android devices may differ. Consult your phone manufacturer’s support documentation if you cannot find the Bluetooth function. If you have an iOS device, you can turn on Bluetooth using the Control Center or the Settings app. Control Center: To access the control center, swipe up from the bottom of the screen at any time. You do not need to be looking at your home screen. Simply press the Bluetooth icon to activate it. Settings App: Navigate to Settings > Bluetooth and slide the toggle into the On position. Once you have successfully turned on Bluetooth on both your Windows computer and your third-party device, you need to pair the two devices together. You only need to undertake the pairing procedure on one of the two devices. Because this article is Windows-based, we’re only going to look at how to perform the task on Windows. To pair two devices together on Windows, head to Start > Settings > Devices > Bluetooth and other devices. In the right-hand panel of the window, click Add Bluetooth or other device. A new window with three options will pop up. Click on Bluetooth. As the snippet of information suggests, this option allows you to pair mice, pens, keyboards, and more. The system will scan for any available devices in your vicinity and list any results it finds. The process could take up to one minute to complete. To connect to a device, click on its name. In this example, I’m going to connect to my wife’s MacBook Pro. Depending on the device you’re trying to pair, you might have to perform a final step. This could include adding a PIN code or permitting Bluetooth access on the external device. Once you’ve successfully paired your devices, you’ll see it listed further down the Bluetooth settings page in either the Mouse, keyboard, and pen or the Other devices section. Managing your list of paired devices is prudent. If you let the list get too large, you’ll lose track of which devices you use and potentially open yourself up to security vulnerabilities Why Bluetooth Is a Security Risk and What You Can Do About It Why Bluetooth Is a Security Risk and What You Can Do About It Bluetooth is useful, and makes connecting to PCs, cars, and other devices convenient. But are you aware of the security risks while using Bluetooth, even on the latest devices? Read More . Removing a device from your list of paired devices is easy. Once again, navigate to Start > Settings > Devices > Bluetooth and other devices. Scroll down the page, and you’ll see all the devices paired with your machine. To remove a device, click on its name to highlight it, then select the Remove Device button. Click Yes on the popup window to confirm your decision. There are a couple of advanced settings you should be aware of. Go to Start > Settings > Devices > Bluetooth and other devices, scroll to the bottom of the page, and click on More Bluetooth Options. A new window will open. Select the Options tab, and you’ll see three options. Allow Bluetooth devices to find this PC: If you want to leave your Bluetooth connection active, but don’t want new devices to see it (for example, if you’re using your computer in a public area), untick the checkbox. Alert me when a new Bluetooth device wants to connect: You need to leave this option enabled if you’re undertaking the pairing process from an external third-party gadget. Show the Bluetooth icon in the notification area: If you leave Bluetooth turned on all the time, you might want to disable this option so the Bluetooth icon doesn’t clutter up your Taskbar. If you can’t get your Windows 10 Bluetooth connection to work, the most likely cause is a faulty Bluetooth driver. 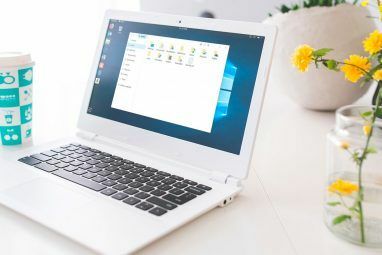 Several users have reported broken drivers after upgrading from Windows 7 and 8. To check your Bluetooth driver, right-click on the Start Menu and select Device Manager. Expand the Bluetooth submenu, right-click on your Bluetooth driver, and choose Update Driver. If no updates are found, you can try selecting Uninstall device and restarting your computer. Windows should automatically reinstall a new copy of the drivers when your machine reboots. Finally, if you’ve paired your phone with your computer, you might want to consider enabling Dynamic Lock How to Automatically Lock Windows 10 Whenever You Leave Your Desk How to Automatically Lock Windows 10 Whenever You Leave Your Desk Windows automatically locks after you're inactive for a while, but it's not instantaneous. Here's a new feature that lets you lock your computer automatically when you leave it. Read More . Dynamic Lock monitors the proximity of paired Bluetooth devices. If they move out of range of your computer, Windows will automatically lock your device. Once the devices are back within range, it will unlock again. To set up Dynamic Lock, firstly ensure your device is paired with your computer using the above steps, then go to Settings > Accounts > Sign-in options > Dynamic Lock and mark the checkbox next to Allow Windows to detect when you’re away and automatically lock the device. Do You Use Bluetooth on Windows? This article has covered all the basics. You should now have enough knowledge to get yourself up and running with any Bluetooth device. 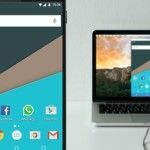 We’re curious to learn about how you use Bluetooth The Fastest File Transfer Methods Between PCs and Mobile Devices The Fastest File Transfer Methods Between PCs and Mobile Devices PC-to-mobile files transfers are easy to do. This article covers five fast transfer methods between PCs and mobile devices. Read More in Windows 10. What are its main benefits? What are its drawbacks? What clever uses have you discovered? As always, you can leave all your thoughts and opinions in the comments section below. And please remember to share this article with your friends on social media. Explore more about: Bluetooth, Troubleshooting, Windows 10.